Whether you are looking for a professional inspirational or motivational speaker for your staff, in-house employee leadership success training, or a keynote speaker for your event... 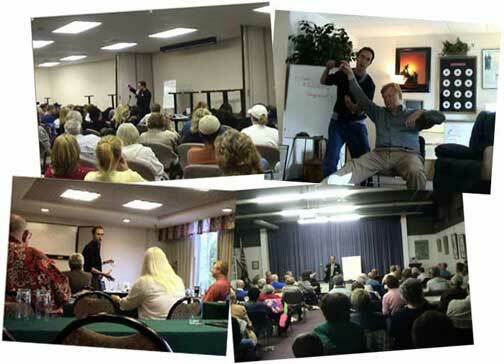 If you are looking for a speaker near Lubbock TX or abroad, We can help. Each group has unique desired results & goals. You will need a free consult to discuss your specific desired results. Every presentation is custom tailored and designed to meet the needs of those attending, including profession, background, number attending, etc. Does your company or group need clarification of goals? Or the tools to get things done? Do your employees need help with morale or confidence? Ask To Find Out How You Can Get Your First, Introductory Talk At No-Fee in certain areas of Texas, like Lubbock, etc. Other locations usually carry a charge. We are happy to talk with you about travel as well. Please call to discuss your needs. In order to reach the actual goal and purpose of the presentation, I use stories, movie quotes, and personal life experience. With classy humor, visual aides, and sometimes magic illusion as appropriate, the audience often comments that they don't want it to end. Folks often mention that the time flies and they want to stay and they want more. Read our many reviews from our clients right from within our community - many of whom we have known for many years. 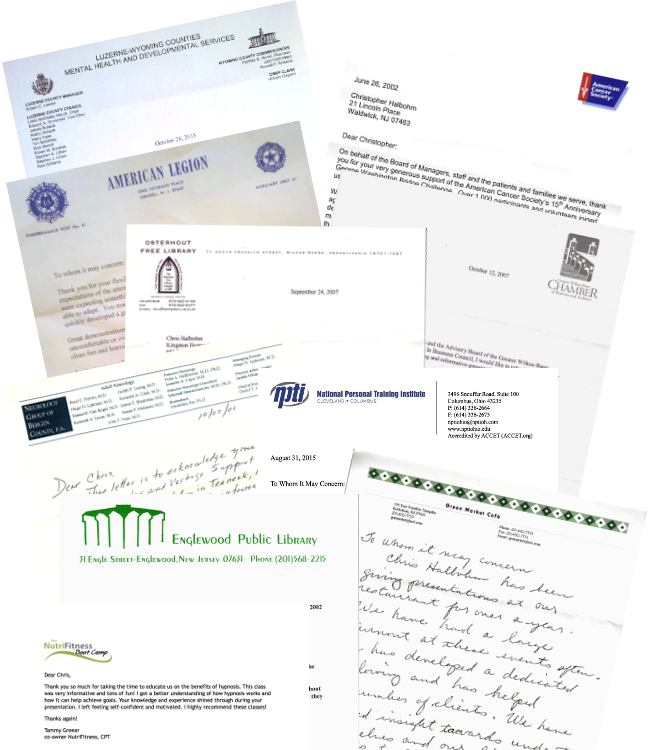 Read our many reference letters from dozens of organizations. We have spoken for or worked with many, such as: Chamber of Commerce, American Cancer Society, Penn State University, American Legion, and literally hundreds more success stories in our archives and office - Read More Here. Much enthusiasm! So upbeat. - Bill G .
Schedule your time and date with us. • Custom fees and proposals are provided according to your company's / organization's needs. • Special "All-Travel-Expenses-Included" fee packages are available anywhere worldwide. • NOTICE: Not all programs, trainings, consultancies include hypnosis per se. If you request it and the head hypnotist decides to allow you, then being hypnotized is YOUR RESPONSIBILITY. All hypnosis is self-hypnosis. Our Community Appearances: I am very thankful to the wonderful people over at the TV studio. 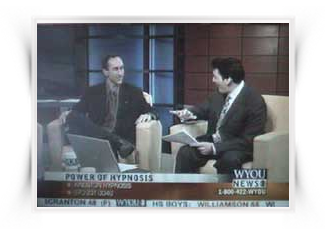 They did a fantastic job putting together a weight loss hypnosis piece on the local WYOU News and PAHomepage.com. We have also appeared on national TV with Fox News (This link needs repair). Also, here is the recent article in the Times Leader newspaper covering our appearance at the Hoyt Library in PA, to name a few. Custom fees and proposals are provided according to your company's / organization's needs. Special "All-Travel-Expenses-Included" fee packages are available anywhere worldwide. • Whichever topic you choose from the list above, get eye-opening, valuable information and real training that you can use immediately to boost results. • Help your company or organization to thrive in this time of such socioeconomic pain. • Gain clear perspective & goals and improve chances for success based on REAL-time feedback for your organization or company. Your people are the focus of the speaking engagement. All training is geared toward those who are there and what they specifically need and are there to get. Chris Halbohm is a Certified Hypnotist, author of "End Worry & Sleep Well", and founder one of the first hypnotism schools of its kind in the country. 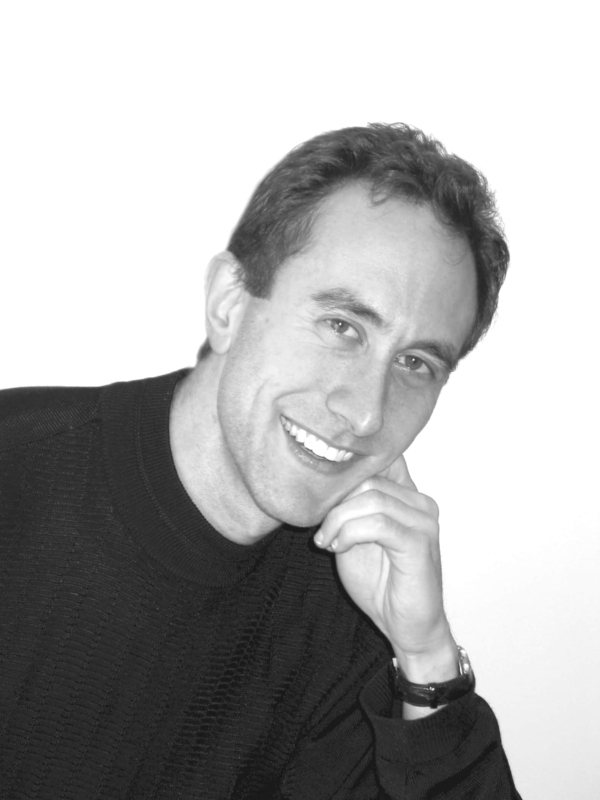 Chris was trained and certified in hypnosis and hypnotherapy by the National Guild of Hypnotists and the American Board of Hypnotherapy. • has been very involved in his community as a member of Lions Clubs International, teaching at the local community college, and serving on the Mayor and Council's Citizen Advisory Commission. Chris Halbohm, Certified Hypnotist, is a master hypnotist and NLP (Neuro Linguistic Programming) & hypnosis trainer. Author of "End Worry & Sleep Well", he is founder of the leading hypnosis schools Texas has to offer and one of the first hypnosis schools of its kind in the country. In his over 17 years (since 2000) clinical experience, Chris has appeared on local & national TV and radio and has spoken and taught at international conventions and been commissioned to speak for groups both public and private. Main location, now in Lubbock Texas. You may inquire about Chris's availability for speaking, training, stage performance, or personal coaching services. Please call 806-777-2026. Foruse with press releases, articles, promotions, meeting bulletins, etc.